Scotter is just now opening its eyes after more than a month. The Jacksonville Zoo is celebrating the birth of an Asian small-clawed otter pup. The birth is a first for the Zoo, which debuted the species with the opening of the Land of the Tiger in 2014. In a news release, the Zoo said the otter pup, named Scotter, was born to fist-time parents Carlisle and Harley on Nov. 14. Scotter now weighs 18 oz. Scotter weighed 3 oz. when born but is now just over 1 pound, at 18 oz. 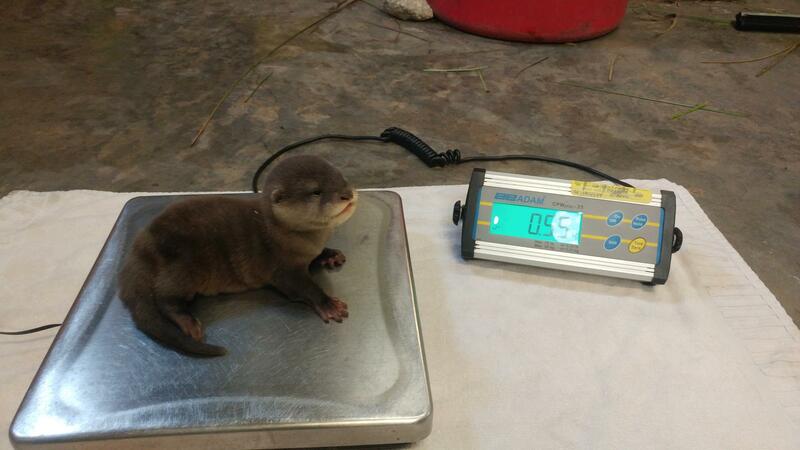 Because Asian small-clawed otters are slow to develop, staff have yet to determine the pup’s gender. “Asian small-clawed otters are very social animals, with both parents sharing responsibilities raising the pup. Carlisle and Harley have been busy with grooming and nest building the healthy little one in their behind-the-scenes otter house,” the Zoo said. Next up for the increasingly mobile pup will be swimming lessons. Unlike most other otter species, Asian small-clawed otters spend much more time on the land, but they are still agile swimmers. It will be several weeks before the pup is able to explore the large exhibit that is shared with two babirusa pigs, Jeffrey and Ramona. Until then, the Zoo will share milestones like swimming lessons on its social media channels. Asian small-clawed otters are native to Southeast Asia, where they are considered “vulnerable” by the International Union for Conservation of Nature. The species is threatened by habitat loss for palm oil production. The Jacksonville Zoo and Gardens is welcoming Budir, its newest member of the endangered bonobo family. The great ape infant was born Saturday to Kuni, who has now successfully birthed five offspring.